Closed wef 31 January 2018. The branch faithfully served the RAF family in Guildford and District sustaining fellowship and providing meetings, events, social occasions, and care. 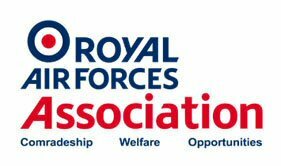 It supported the wider RAF community through years of fundraising. Social Meeting - 1st & 3rd Wednesdays 19:30-22:30, except January.